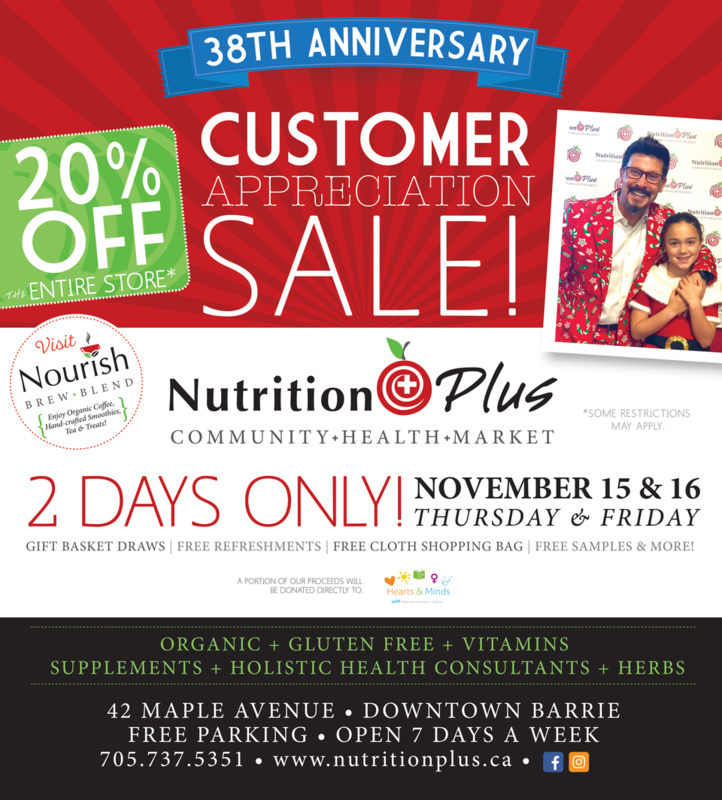 To celebrate their 38th Anniversary, Nutrition Plus Community Health Market is having an awesome 2-day customer appreciation sale! Head down on Thursday, November 15th and Friday, November 16th and get 20% off everything in the entire store! To find out more about what’s going on at Nutrition Plus, check out their website.